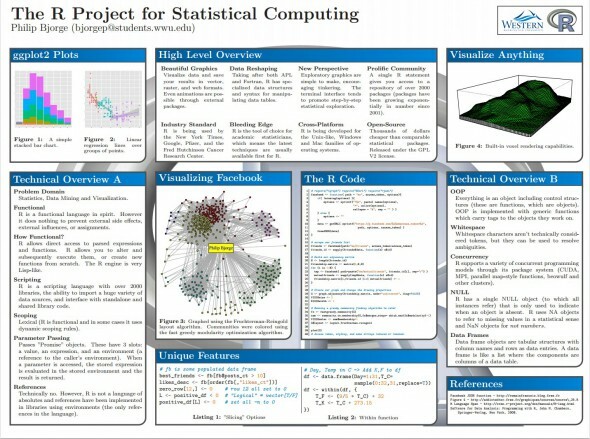 For my Programming Languages final project, I designed a poster on the R programming language. I created it with LaTeX and embedded R for the graphics. Over the course of making the poster, I made a few graphs in R using both the facebook API and PNW Moths data. R has become my go-to tool for graphing and statistics.